A grant towards post-production costs and the production of Manx Gaelic subtitles was awarded to Emma Poyntz for the Battle of Ronaldsway film. 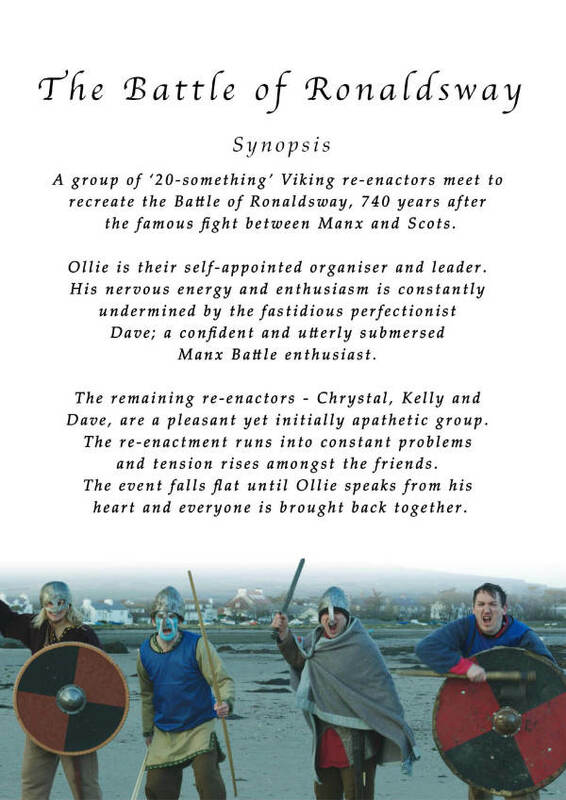 With a script by James Franklin, the film tells the story of a group of Viking enthusiasts re-enacting the famous Battle of Ronaldsway between the Scots and Manx. Initial funding for the film came through sponsorship from Moore Stephens, funds in kind and Isle of Man Film.